Volume 3, Edition 34	 Trouble loading? View this email online. CSUN Associated Students hosted its 25th annual Earth Fair to inform and spread awareness to the campus community on environmental conservation and current sustainability issues around the world and on campus. CSUN nutrition and dietetics student Frida Herrera founded Let’s Grow Healthy, a community gardening initiative designed to decrease childhood obesity and promote healthy eating habits among children in Canoga Park. 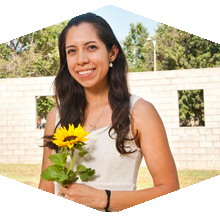 Herrera was recognized for her work at the recent Clinton Global Initiative conference. 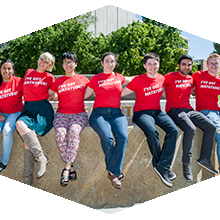 CSUN students, faculty and staff are encouraged to show some Matatude every Tuesday by wearing red or CSUN memorabilia that promotes campus spirit. Thur, April 28, 7 p.m. Please join us for the annual Envisioning California Lecture as we discuss the unprecedented nature of the 2016 elections. Many CSUN sports teams will be competing in Big West conference championship tournaments this week. The action begins on April 28 when the Matadors women’s tennis team takes on Cal State Fullerton. The beach volleyball and women’s water polo tournaments begin on April 29. Men’s golf tees off on May 2 and men’s and women’s track and field start on May 6. Robert D. Taylor ’82 (Engineering) has been a trailblazer in the community and in business. Read about how one of our own Matadors succeeded in business, created opportunity for others and helped rebuild Los Angeles after the 1992 riots. As California residents, we live in “Earthquake country,” which is why we need to be prepared to act when an earthquake strikes. 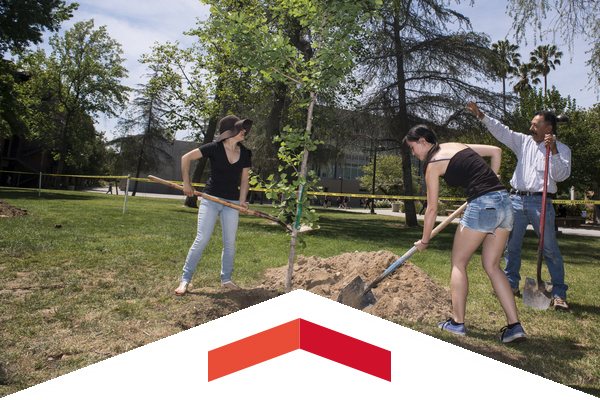 The CSUN Department of Police Services and Emergency Preparedness has organized a fun and interactive disaster preparedness challenge. The New American Workforce is offering a free information session on applying for citizenship. An English session will be from 12:45 to 1:45 p.m. and a Spanish session will be from 1:45 to 2:45 p.m. in Sequoia Hall 104. The Spring 2016 edition of CSUN Magazine, featuring alumna Eva Longoria on the cover, highlights CSUN’s impact on Hollywood. Look for copies to be delivered to your respective departments this week. If you would like additional copies, please email pubinfo@csun.edu. Join us for an on-campus panel discussion covering the recent Porter Ranch spill, the impact of domestic environmental disasters on this year’s election and the role policy and innovation will take in cleaning up our country. The CSUN Asian American studies department celebrated its 25th anniversary with a night of honoring founders, faculty and outstanding students.